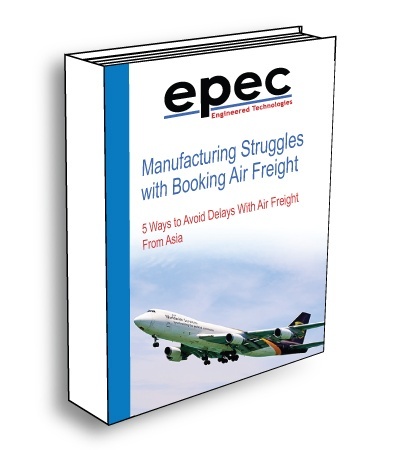 Inside our Manufacturing Struggles with Booking Air Freight Ebook you will get an understanding of the significant challenges and multiple steps that all have to be done to receive your shipment when you expected it. Shipping is something that is easy to take for granted as it has become such a common part of our daily lives outside of work. The reality is that behind the scenes, there are so many moving pieces that need to be managed on a daily basis to ensure that the supply chain continues to move. More and more companies are evolving into diverse supply chain organizations; it creates more challenges than just lower pricing on the cost of particular products. From experience, it shows that Air Freight/Shipping causes more unforeseen challenges and hidden costs than any other part of the supply chain.